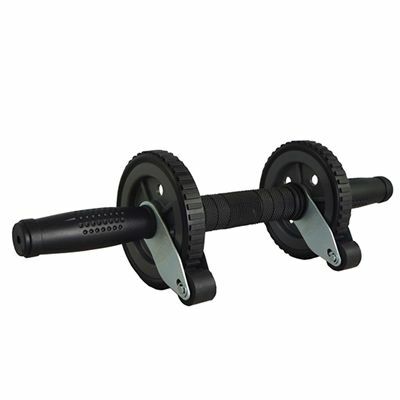 The Fitness Mad Ab Wheel Pro offers a new way of exercising the abdominal muscles. It has a two-wheel design for improved stability which allows for single or both arm practice. This great training aid has been equipped with a brake that is operated by simply twisting the wrist to help in preventing over-stretching and injuries. It is 40cm (15.7”) long and has a wheel diameter of 11cm (4.3”). for submitting product information about Fitness Mad Ab Wheel Pro We aim to answer all questions within 2-3 days. for submitting product information about Fitness Mad Ab Wheel Pro. We aim to answer all questions within 2-3 days. If you provided your name and email address, we will email you as soon as the answer is published. for submitting product review about Fitness Mad Ab Wheel Pro.